Often it seems like other people are getting a lot more done than we are. But what are they sacrificing? We all have limited time and doing one thing means giving up another. We have to set the right goals and sacrifice the right things to accomplish them. For all we know, someone else could be sacrificing personal health or family, yet all we see are the accomplishments. While it is dangerous to compare, sometimes seeing the success of others can provide a needed reality check on the various time-wasters we have that keep us from getting more done. 06:53 Is it a good thing for success and failure to be something we experience emotionally? 12:47 A goal shouldn’t be set out of fear of failure, or to get a high on success. It’s a promise to yourself. It’s something to aspire towards. 13:29 If you’re haphazardly setting goals and they’re not getting done, setting a new goal isn’t going to do anything. 13:54 One of the best ways to keep yourself on track is with a form of accountability. An accountability partner is best, though public commitments can often have a similar effect. 15:28 Public commitments keep you accountable. We don’t want to appear inconsistent to other people. We can leverage this to our advantage to make sure we get things done. 17:35 Sometimes a goal you set a long time ago isn’t something you should still be doing. You have to know when to quit a goal. 17:46 Don’t just do a goal for the goal’s sake. You have to reevaluate the goals that you’ve previously set. 18:05 Sometimes it might be the right goal, but it’s the wrong time. 18:12 Not everything is possible to do all at once. Even if they’re all good things. 19:01 Being effective at one thing requires SACRIFICE of another. 19:30 Don’t beat yourself up for not being able to be superman or superwoman. You don’t have to feel bad for not being able to do EVERYTHING, because it’s not possible. 22:14 Focus on what matters. What matters to you right now at this point in your life? You can’t do everything at once, and that’s ok. So what do you want to do now? What are you not doing to make that happen? 22:34 Even reasonable goals can be too vague. Break large goals down into small, specific tasks. 23:17 Set a roadmap, break it into chunks, and focus on the now. 24:22 You have to decide how much you want to give up. Sometimes that’s time-wasting habits, but other times it may be positive things, like social events. Don’t worry about what other people give up. You have your own, unique situation. 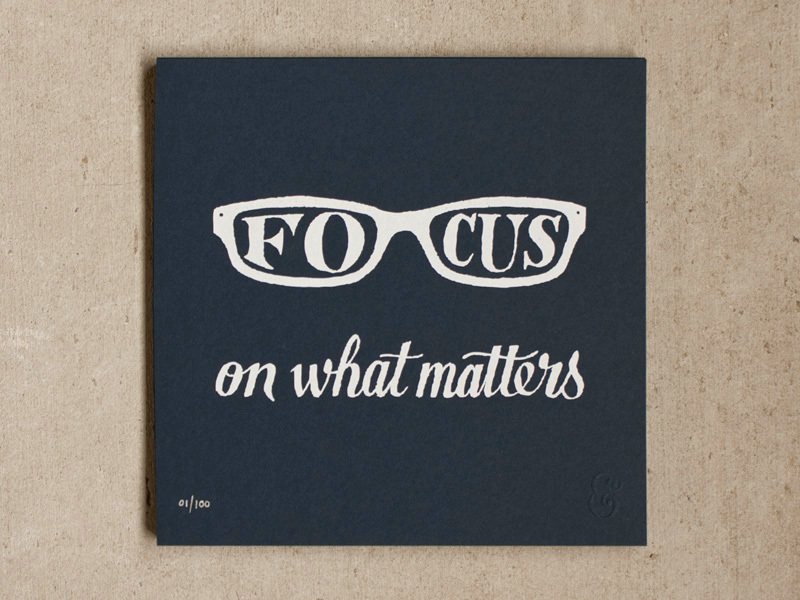 Focus on what’s best for your long term (which usually translates to “don’t neglect family or your personal health”). 26:54 Real life is about the long game. 27:28 When it comes to business, you likely have a million ideas. But which of them is going to make a tangible, real world affect on the bottom line of your business right now? What is going to make the most dramatic change if you accomplish it? Focus on that thing first. 28:22 You must attribute a deadline to your tasks. Then tell your accountability partner. 28:43 When you leave the office, take a sticky note, or a piece of paper (an actual, physical piece of paper, with a pen—one of those inky writing things), and jot down three things you will accomplish the next day. Yes, this does require a very small amount of forethought. Maybe a few minutes. Do it. Write down three things you will accomplish the next day, and leave it on your desk, in front of your monitor. The next day when you come in, those are the first three things you do. Not your email, not twitter. Those three things. After that, you can do whatever you want. But those things first. We all have the same 24 hours in a day. 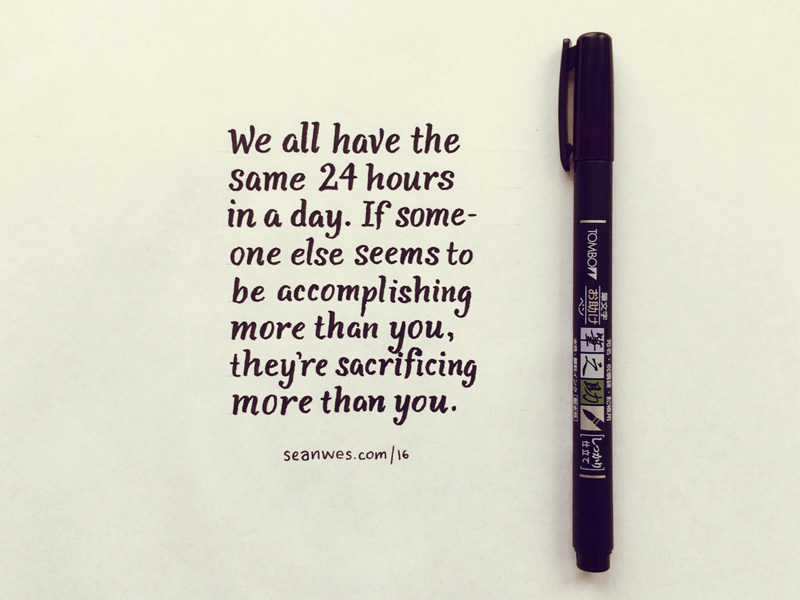 If someone else seems to be accomplishing more than you, they’re sacrificing more than you. 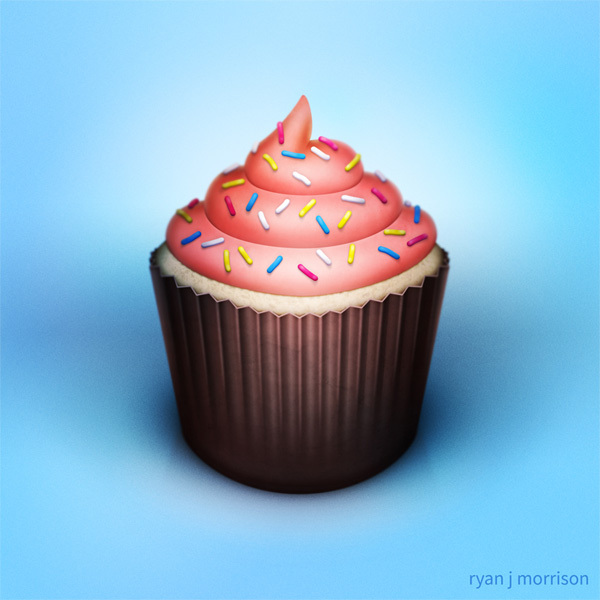 In a recent episode, Aaron jokingly mentioned asking for cupcakes. Well, listener Ryan Morrison decided he would illustrate one and send it to us! How thoughtful!